I’m no fan of farming. The agricultural dream is not my cup of tea, at all. Nor do I think raising chickens and tilling the earth is a good use of my time. This is the Information Age for crying out loud, nobody needs to be a farmer these days when it’s so easy to grow crops. Despite my lack of love for the farming life, it is applicable to this article. The Rogers Adoption Curve got its start in agriculture. For all my farmer readers (and anyone else well-versed in the agricultural arts), you might be familiar with farmers who are willing to try new seed, implement new plowing technics, etc. They’re the early adopters. They’re always trying the newest tech, strategy, or idea. You’ve also got farmers who aren’t so giddy to try the new thing. They’re cautious, mired in tradition, skeptical, etc. It might take them years to implement new innovations, or have their neighbors and friends try it first. But this theory isn’t limited to agriculture. It’s far more applicable, especially in the realm of social change. An idea’s rate of acceptance depends a lot on what the idea itself is; but it also has a lot to do with the people accepting it. 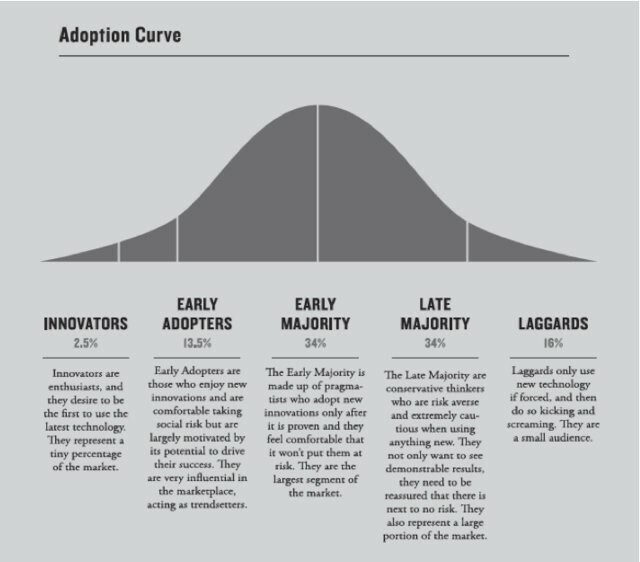 The early stages of what’s called the Rogers Adoption Curve explain those who readily accept risk, and those who wait for the approval of the masses. What is The Rogers Adoption Curve? The Rogers Adoption Curve (also called the Diffusion Process) describes how new innovations and ideas are accepted and adopted by groups and cultures. The theory was developed by Joe M. Bohlen, George M. Beal and Everett M. Rogers at Iowa State University, in 1957. It was originally applied to agriculture and home economics, but later applied to new ideas and technologies by Everett Rogers in his book, Diffusion of Innovations. If you remember the piece I wrote on Pace Layers and how different facets of society change faster than others, you’ll see how the Adoption Curve is related. One describes the rate of change in each social layer, the other shows how change becomes accepted and who accepts it. Each stage comes with its own psychological description and reasoning. Understanding these stages helps you avoid pitching your idea to the wrong group early on. For example, you’re not going to be successful if you’re trying to convince the “late majority” people to accept your idea. There’s a reason why some people wait for the party to get big before joining. Some people just don’t like being the first ones there, others do. Take note of that, and act accordingly (not just with matters of party attendance). Innovators — these are the risk taking, highly educated, prosperous people. They’re always trying those new beta apps, technologies, and lifestyle habits. In a political context, they’re the fringe. They hangout in their esoteric groups where they discuss theories, philosophers, and other theoretical works and applications. These political innovators aren’t your average Americans. They’re not watching the latest TV series, or reading popular books and magazines. Early Adopters — also risk takers and highly educated, but more leadership orientated than innovators. Think of these guys as community organizers; informed, risk takers, less prosperous, and more connected with their communities (i.e. popular). Early adopters are the movers and shakers. They push the idea out into broader culture. Where the innovators nurtured and matured the idea, these guys push it out of the nest. 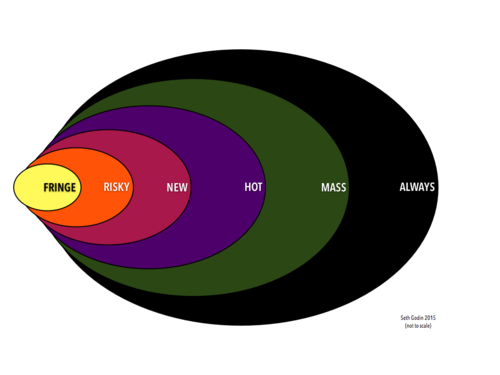 Early Majority — less risk taking, tending to be more conventional with a willingness to accept new ideas. They’re active in their community, knowledgeable about social trends, and have an influence over their neighbors. These are people who arrive to the party on time. They’re not afraid of change, but they don’t go after it. Change comes to them. Late Majority — usually traditional, and less educated and socially active. Unsurprisingly, this group age wise is older. They show up to the party late. Showing up at a growing party isn’t fun for them. Change isn’t fun for them either. Unlike the early majority, who lets change come to them, the late majority is more likely hide from it. 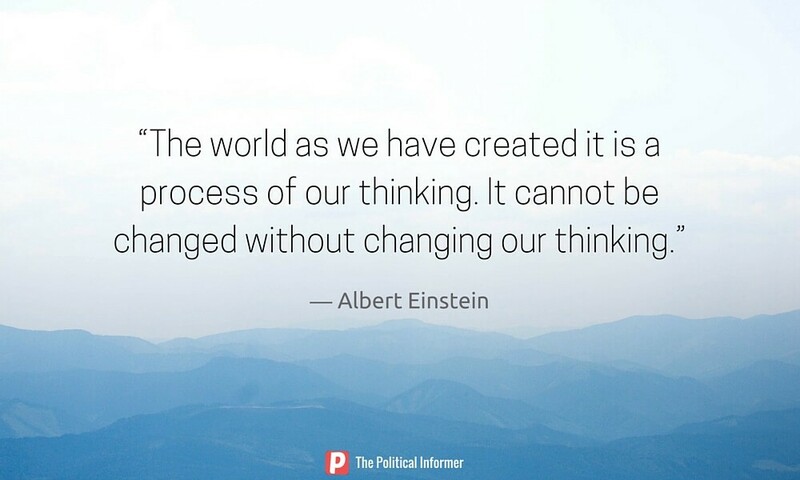 They’ll push against change if it doesn’t fit neatly into their worldview. Your grandpa is probably in this category. Sorry, not sorry. Laggards — the oldest and most traditionalist of the stages, this group will fight against change. They’re connected to their community, but not in a way that encourages transmission of new ideas. Think of Clint Eastwood in Gran Torino. He’d fit nicely into this category. Not to beat a dead horse, but all those old-timer conservatives whining about gay marriage, transgender bathrooms, and Hispanic signs? Yeah, they’re the laggards. They either eventually accept the change, grumbling to their graves, or they’re forced to accept it. Don’t be a laggard. You have the progression of who accepts change when. Now here’s the progression of how one individual accepts change. First you flirt with the idea by reading up on it, researching, etc. Next, thanks to your own reasoning or influences, you become convinced of the idea. You make the decision to accept the idea, then you work on implementing it into your life and ideology. Finally, you accept the idea wholly and start seeking to convince others of it. If the above Rogers Adoption Curve graph doesn’t make total sense to you (or you want to look at it differently), Seth Godin came up with an alternative graph displaying how the theory works. In his graph, six stages make up the gradual acceptance and adoption of a new idea. I like Seth Godin’s explanation of the Rogers Adoption Curve because it follows along the lines of how a trend works. Think of his graph like the progress of popularity, whereas the original graph is the progression of utilization. Looking at all the uproar over the trans restroom issue (and gay marriage in the past) it’s obvious many conservatives and right wingers have no idea how cultural change works. You have roughly three choices in dealing with cultural change: you can lead it, follow it, or react to it. Following change is the easiest. You don’t put up a fight, you don’t do any leg work. You just let the current carry you along. Leading change is the hardest. You’ve got to craft the idea so it resonates and connects with others. You’ve got to make sure the idea fits the current cultural environment. It’s hard, and more often than not disappointing. Reacting against change is the stupidest. It’s a futile fight against an avalanche of shifting cultural standards and worldviews. Reaction is nothing more than a blast of fear, a fear of what is coming. And the only alternative reactors have is the world they’re living in. You want to make progress, social progress? Then reacting isn’t a viable option for you. This is especially true once you research and understand how societies morph and grow. The Rogers Adoption Curve is just one of many aspects of cultural change that you need to understand. Push the right idea on the wrong group (a group that doesn’t like change) and you’ll fail. The Rogers Adoption Curve helps you find the right group to adopt your ideas. Please RECOMMEND and share this article, because it helps others see it and learn. Change starts with you. And please subscribe to my weekly newsletter, The Informer. Share your opinions. Reach others. Make a difference.